It's beginning to look a lot like Halloween around here. The divers just placed a couple jolly Jack-o-lanterns into the Giant Ocean Tank in preparation for our popular members-only Halloween party this evening. 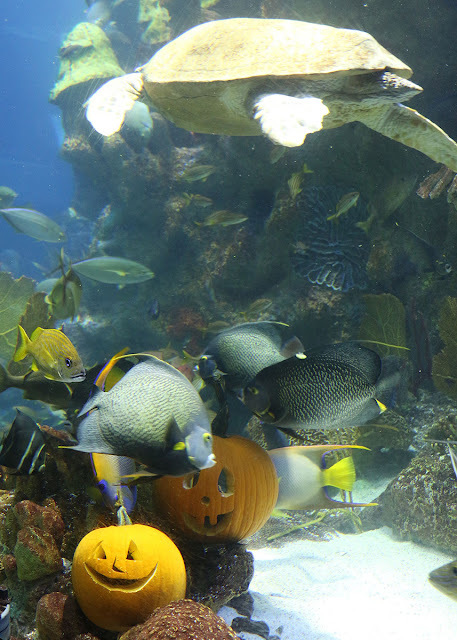 But all day today and tomorrow, visitors can enjoy seeing these festive gourds, nestled amid the corals throughout the 200,000-thousand gallon tank. Each pumpkin is weighted so it doesn't bob to the surface. 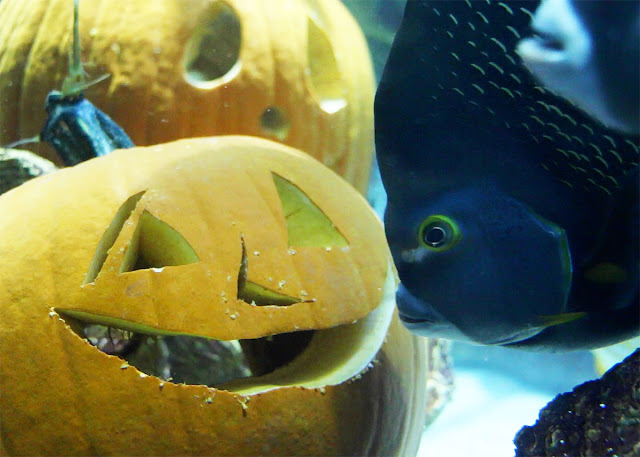 These Halloween decorations will stay put through Halloween tomorrow—that is, unless the angelfish snack too much. You'll notice many of our herbivores like to snack on the pumpkin's flesh (mwah-hahahah). 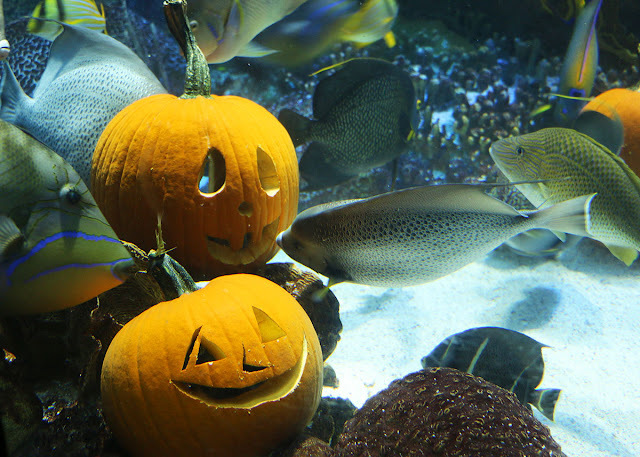 In addition to the pumpkins, educators are dressed in costumes and ready to answer all your questions about the creepiest animals at the Aquarium. So plan to visit this weekend! Buy your tickets online right now—no online service charge—and Happy Halloween from your friends at the New England Aquarium! Loggerheads are mostly carnivores, no interest in these happy fruits.